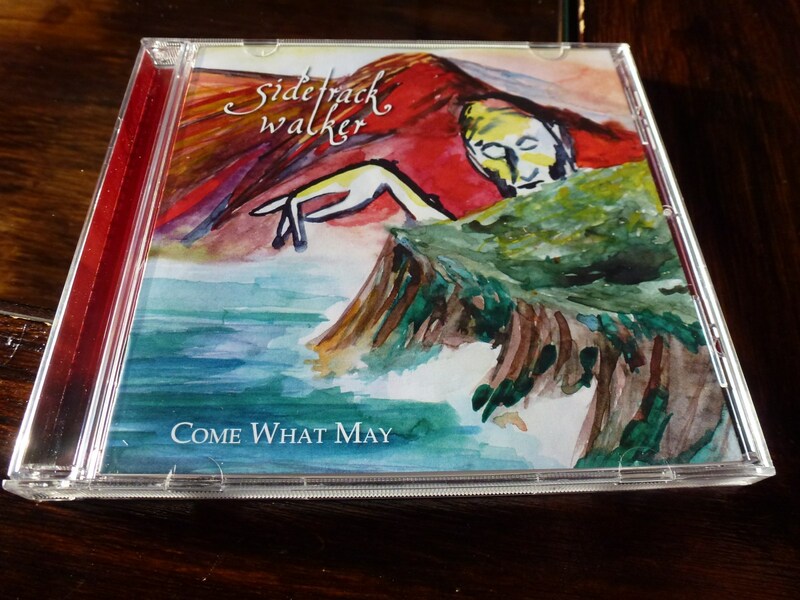 Sidetrack Walker focuses on atmosphere and relentlessly honest songwriting. 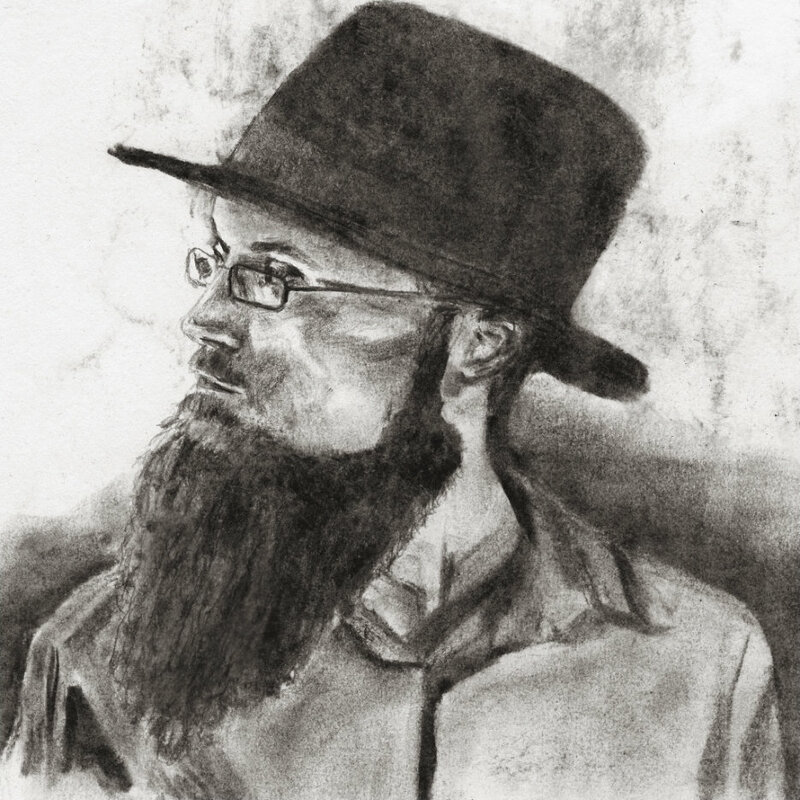 For its dark, mostly piano-based music, the project draws on genres as diverse as Folk, Progressive Rock, Darkwave, Classical Music and Doom Metal. Also, find out almost anything you could possibly want to know about Sidetrack Walker: in his interview, my buddy Mike Liassides at Doom-metal.com was extremely thorough in exploring my musical adventures. My long-awaited album Come What May is finally out today, both digitally and as a CD edition limited to 500 copies! I have no words to describe this amazing moment right now, so I’ll let the music speak for itself. Simultaneously, the predecessor Mirrors and Mirages now sees a CD release limited to 300 copies. The cheapest option is to order your CDs directly from me via the contact form. I am also selling them on Bandcamp and Discogs, and they will be made available through Amazon and Ebay in the foreseeable future. After countless delays, the long-awaited album Come What May is finally due for release. 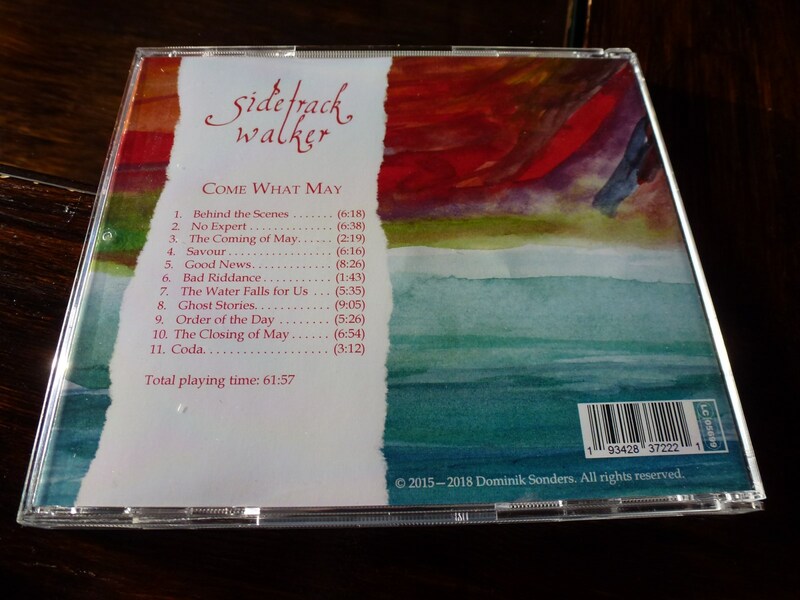 It is the most diverse work by Sidetrack Walker so far, bolstering professional production values courtesy of a mix by Andre Jonas and mastering by none other than Prog legend Jacob Holm-Lupo (White Willow, The Opium Cartel). 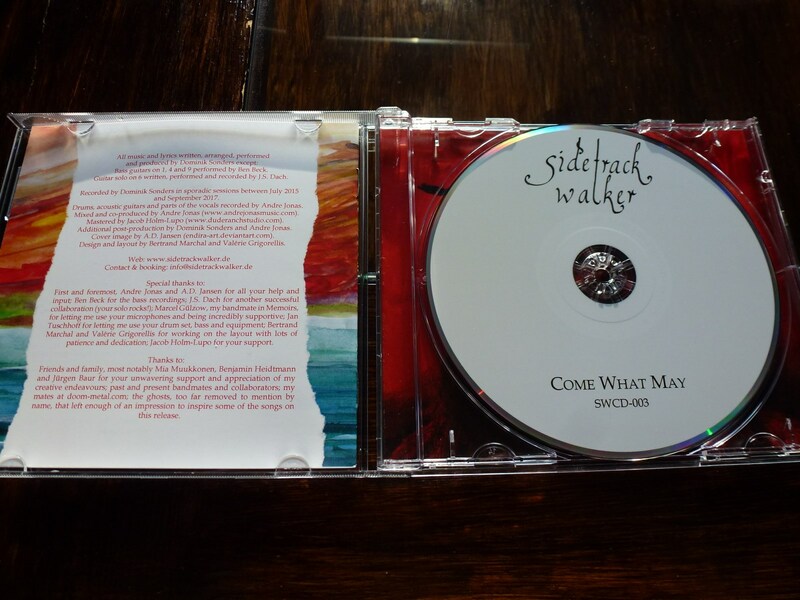 Alongside the usual availability through download and streaming platforms, there will be a CD edition of Come What May, limited to 300 copies and marking the first-ever physical release for Sidetrack Walker. Pre-orders can be placed now through the contact form, which will be slightly cheaper than ordering through Bandcamp or Discogs later. 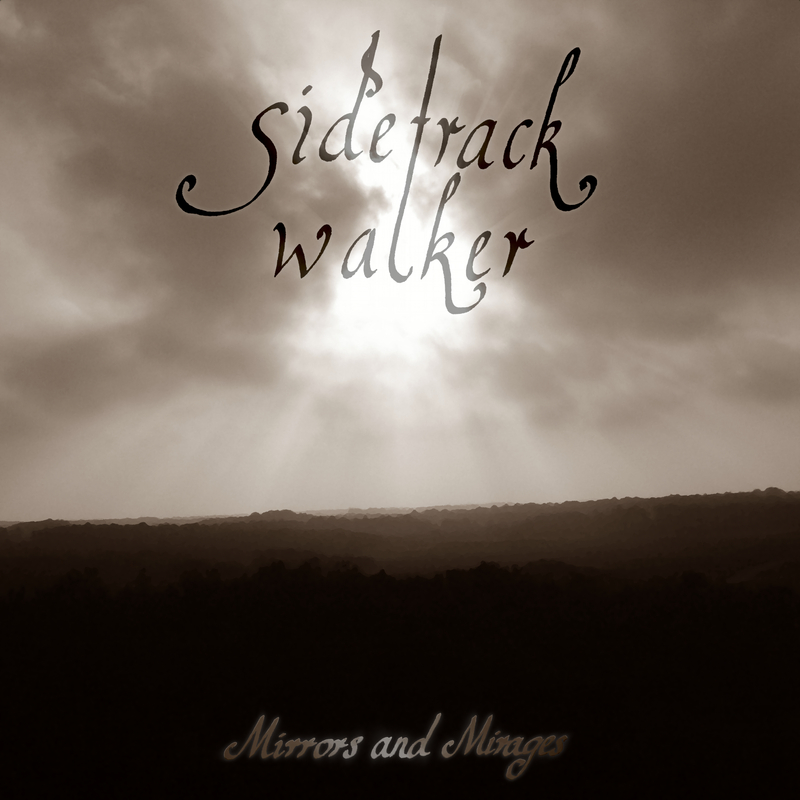 Simultaneously, Mirrors and Mirages will also see a limited-edition CD release. Both albums can be ordered as a bundle for a special discount, see Contact for details. This is truly a great moment for Sidetrack Walker, and I can’t wait to share the full album with the world at long last. For now, enjoy the two preview tracks on YouTube, which will also be available through Bandcamp soon! The pre-order for Mirrors and Mirages is now live on Bandcamp. “Maybe”, the shortest song, is already streaming as a preview, so be sure to check it out! If you pre-order the album, you will be able to download this track right away. As a special incentive to support Sidetrack Walker directly through Bandcamp, the album download will contain an exclusive live version of “Of Landscapes Unchanged” as a bonus track. This recording will neither be available through the Bandcamp stream, nor through any other streaming or download service. In other news, the CD layout it currently in the works, so I’m hoping to have a physical product on sale by Christmas! After many delays entailing a long period of silence on this site, the long-announced album Mirrors and Mirages is finally set for release on September 28. It will only be available digitally through all common providers, but a CD release is planned for the foreseeable future, too. On a related note, the release of Come What May is still delayed due to layout issues, unfortunately. However, I will soon announce the release date of a brand-new single that is currently being mastered. This track will break new musical ground for Sidetrack Walker and should help pass the wait for the latest album. And yes, a new album is on its way, too. Stay tuned! 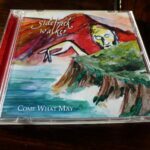 Welcome to the brand-new, official Sidetrack Walker website! If you’ve followed the instructions on my old English site, you’ve come to the right place. This is where you’ll find all the information on my music from now on. I hope you’ll enjoy the site. Feel free to leave some feedback via the contact form if you like. And be sure to connect via Facebook, too! While the mastering of Come What May is being wrapped up, I’m preparing to turn this project into a live band. A first get-together today has really sparked my motivation: I’m confident I’ve found a great bunch of enthusiastic and capable musicians. With any luck, Sidetrack Walker’s Underdog Pop will come to a venue near you before too long! It’s official: Jacob Holm-Lupo, renowned for his outstanding work with Norwegian Retro-Prog giants White Willow, will be mastering my upcoming album, Come What May. Check out what he has to say about the project. 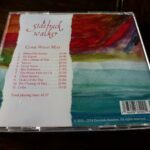 From now on, Sidetrack Walker is present on all major download and streaming platforms, including Amazon, iTunes and Spotify! If you’d like to support the project, I’d be delighted to welcome you as my Spotify followers. Feel free to spread the word and recommend the music to your friends, too. 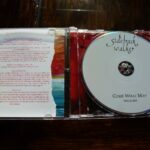 Followers will increase the chances of getting my upcoming albums released by a proper label, so if you’d like to see a Sidetrack Walker CD release in the foreseeable future, you can actually help make it happen. Confessions in Silence is the only album available so far, but the mastering of Mirrors and Mirages is all done and the album is being pitched to labels as we speak. Come What May, the ‘proper’ new album, isn’t far behind. It’s a strange coincidence to have so much material nearing completion simultaneously, but I’ll take it as a good omen. Hopefully this project will finally start off the way it’s meant to. WordPress	– Theme by Andre Jonas.